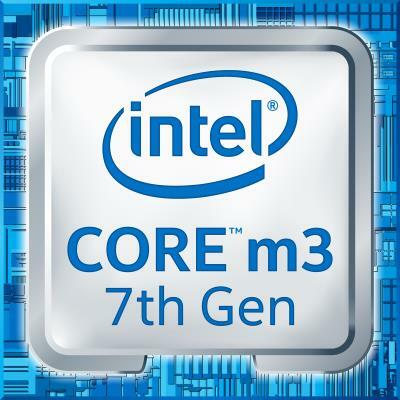 The Intel Core m3-7Y30 is a power-efficient processor for ultra-portable laptops, tablets, and 2-in-1 PCs. It belongs to the Intel Core M series and consumes 4.5 Watts of power, as opposed to the more widely adopted 15-Watt Intel Core U series. 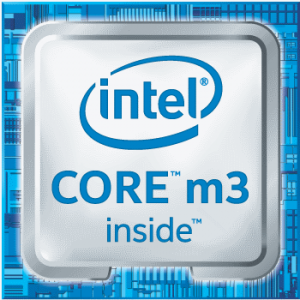 The Core M series, including the Core m3-7Y30, enables fanless computer designs due to their low heat dissipation. The Core M lineup can handle very well the usual computing chores. It ensures smooth web browsing, media playback, work in productivity apps, and even some casual PC gaming. Benchmark results show the m3-7Y30 offers a great performance-per-Watt ratio. For instance, it’s very close performance-wise to the corresponding Intel Core U-series part – the i3-7100U, while consuming much less power. But, it’s worth noting that that the m3 is usually found in pricier laptops. Also, the Intel Core U series feature the HD 620 integrated graphics which is somewhat faster than the HD 615 on the Intel Core M chips. Intel Core M "Kaby Lake"
Good for web/video/office work but awful for gaming. I know it’s not for gaming but it can run games with crappy frame rate. While running heavy games, gets hot like woven (upto 15Watts TDP CPU+GPU) which is bad for laptop battery. Expecting too much and tried gaming, but nah – don’t game on this puppy. Yeah… I was pretty damn amazed by the tiny scale and power of this thing… I don’t like laptops since I will always be tethered to an AC outlet with a laptop anyway, so I just find it better to use a powerhouse desktop as a primary workstation for all my CPU and GPU intensive needs. My expensive laptop just collects dust while I’m at home. But I got a pocket sized PC with this M3 chip and was blown away by how well it handles my power user needs. (i.e. code development IDEs while either docker or a vm runs linux in the background). This CPU appears slow on paper but greatly outperforms the previous generation quad core x64-bit Atom CPU. My question is this can it do Video editing? Yes it can, but performance can be noticeably worse than on laptops with the more popular current Intel Core U-series counterparts, such as the 7th Gen Intel Core i3-7100U. The i3 is a mainstream CPU, while the m3 is primarily designed for lower power consumption and lower heat in order to better fit in thin-and-light laptops.